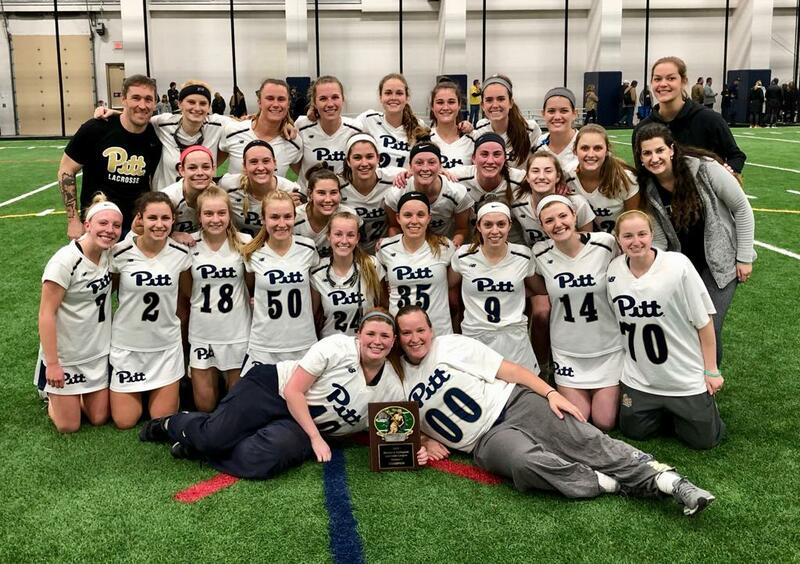 WCLL DIVISION I CHAMPS - University of Pittsburgh women's lacrosse is the 2019 WCLL Division I champs defeating the University of Michigan. 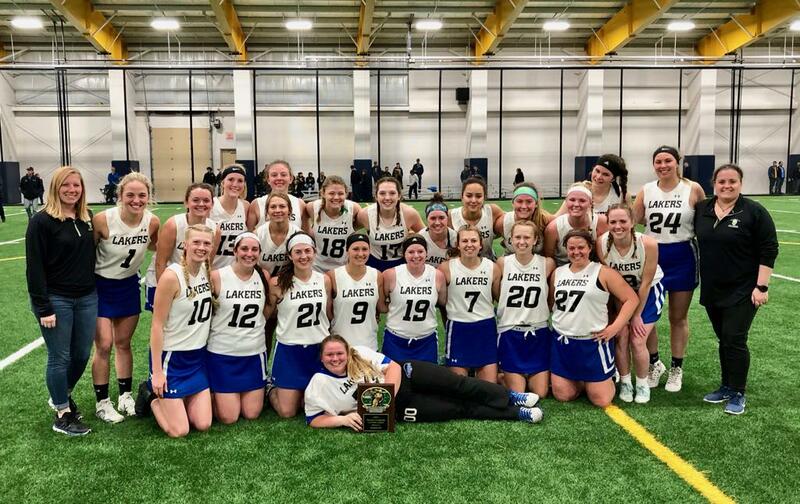 WCLL DIVISION II CHAMPS - Grand Valley State University women's lacrosse is the 2019 WCLL Division II champs defeating Oakland University. BALTIMORE - It's that time of the year for post season honors and recognition. The WCLL and WCLA have release nomination forms for a wide variety of categories including All-League, All-Academic and Coach of the Year. The nomination forms must be completed in a quick time frame, so please be prompt as there will be no late entries. Please note that nominations for national, WCLA, will be used for WCLL All League determination. The difference in deadlines for post-season honors is because each division has a separate reporting committee. The nomination forms for WCLA-WCLL Division I must be returned and postmarked to Dave McKinnon @gobluelax@gmail.com by midnight April 12, 2019. For nominations to be considered, team stats on the WCLA pages for the entire team have to be up-to-date and accurate. The nomination forms for WCLA-WCLL Division II must be returned and postmarked to Kim Crum @ kkerekes@gmail.com by midnight April 15, 2019. For nominations to be considered, team stats on the WCLA pages for the entire team have to be up-to-date and accurate. Welcome to the Women's Collegiate Lacrosse League (WCLL), an intercollegiate club lacrosse organization, divided into two divisions, that represents 45 universities and colleges that stretch a geographic region from as far east as New York and west to Missouri and from the Canadian border to Kentucky. The WCLL, the largest club league in the continental United States, is beginning our 25th year of competition and we look forward to serving the many student-athletes in our conference. In the WCLL's long tenure, we have experienced the growth of womens' club lacrosse, whether watching a university club program transform into an NCAA scholarship opportunity or just witnessing a smaller club team enjoy the fruits of friendship, while competing in a shared experience. The WCLL's historical landscape is scattered with a number of successes and we're hopeful the trend will continue in 2019. We believe in our mission and fully support US Lacrosse and all that they represent. ST. LOUIS - The WCLL operating board has expressed some concern over teams reporting scores in a timely manner. All scores should be posted within 24 hours of completion, and while most of the league's scores have been updated, there are still teams with blank reports for games that have not been played, but the scheduled dates are past due. If your team was supposed to play another squad and the game was cancelled for whatever reason, team officials are still required to enter a forfeit, cancellation or postponement so the WCLL board knows what happened for that specific contest. Please make sure this is done quick as the outcomes have a strong reflection on national WCLA ratings. The WCLL Championships will be staged April 13-14 at Detroit County Day School in Beverly Hills, Michigan. The WCLL governing board is currently finalizing the schedule matrix for the upcoming event. The teams who qualify for the event will be chosen and notified Sunday, April 7, said league officials. The WCLL governing board has fined several teams in the last week for a variety of reasons. The board will not mention the transgressions nor the universities, but if you received a communication, the fine must be paid in 14 days or before the WCLL playoffs to be considered for post season play. Just a reminder that USL is requiring us to conduct a stick check for every goal for every game regardless of Division I or Division II. As league administrators, we know that hurts the running clock game for Division II, but we're stuck for the moment with a running clock, while stick checks are conducted. WCLL standout and undefeated Pittsburgh and Utah State retained their spots at the top of the new WCLA (Women’s Collegiate Lacrosse Associates) Division I and II coaches polls, released Wednesday. It’s the fourth straight week at the top for both teams. There were no changes among the top six teams in the Division I ranking, with San Diego State, Michigan Club, BYU, Cal Poly and UCLA all maintaining their same positions from last week. The only movement in the Top 10 was a switch in placement between No. 7 Virginia Tech and No. 8 Santa Clara No. 17 Northeastern and No. 19 Boston College Club were newcomers in the D-I ranking, with Colorado State and Alabama dropping out this week. In Division II, Loyola Club, Denver Club, Air Force, and Stanford Club complete this week’s top five. The biggest mover in Division II was No. 15 CSU San Marcos, which jumped two spots and improved to 6-2 on the year with a victory over Pepperdine. No. 19 St. Benedict, 5-0 overall, joined the ranking for the first time this season, while Binghamton dropped out. The WCLL features 43 teams in two divisions and are part of the WCLA national league which features 230 Division I and Division II non-varsity teams that compete under the US Lacrosse umbrella. The 2019 season will conclude with the US Lacrosse WCLA D-I and D-II national championships in Virginia Beach, May 8-11. ©2019 Women's Collegiate Lacrosse League / SportsEngine. All Rights Reserved.